I woke up Monday somewhat sad because for the first time in a month there were no World Cup matches to look forward to. Hard to believe another tournament has come and gone so quickly. Euro 2012 couldn’t come soon enough. The Final was a disappointment for me as there was hardly any rhythm or flow to speak of. Once Holland started to play physical, referee Howard Webb lost control of the match and players from both sides took advantage of the situation. It was unfortunate that a side as skilled as Spain would resort to theatrics but there were, in my mind, some questionable fouls being called. Both sides had good chances to take the lead but give La Roja full credit for converting the one that matter the most. Two things I shall remember about this World Cup. For all the talent that was on display in South Africa, pragmatism was the definite showstopper. Perhaps that’s to be expected with so much on the line for all the countries involved. But it’s a shame someone like Leo Messi was unable to fully replicate his club form at the world stage. Don’t get me wrong. He was very good in South Africa but the lack of goals has prevented him, at least now, from joining the likes of Maradona and Zidane in the legendary category. 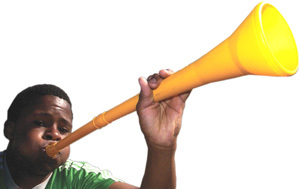 And the last word – or in this case, last sound – goes to the Vuvuzelas. They sounded like a swamp of bees. They were annoying. They were loud. But they sure made South Africa proud. 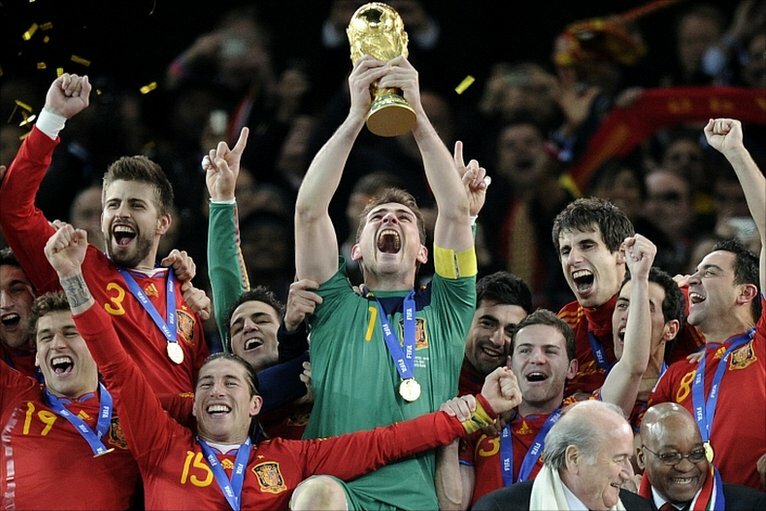 Love them or hate them, they are one of the legacies of World Cup 2010.